Hi, my name is Elvis! 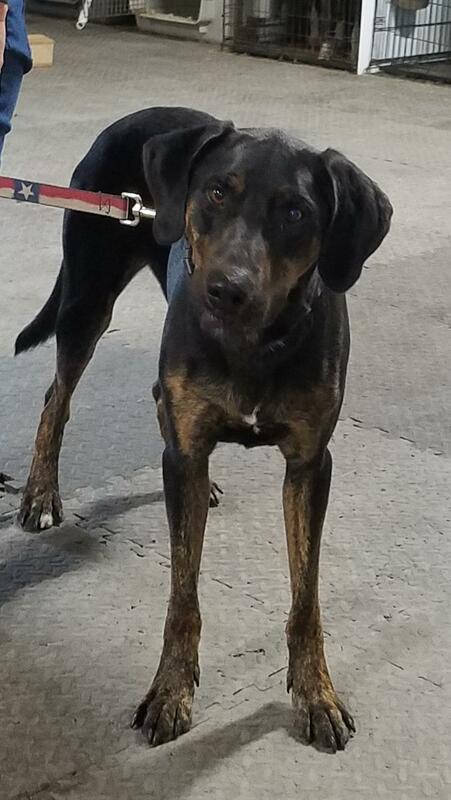 They say I am a Plott Hound mix, approx 2 – 4yrs old, 70 lbs, fully vetted, neutered, current on vaccinations, heartworm and flea prevention and microchipped. I am potty trained and not destructive in the house. I am a big, healthy boy with a goofy personality and they say I am smart cause I learn things quickly! I LOVE people, especially men! I am an energetic boy and would be a good running buddy for someone. I enjoy playing in water…I’m not particular, I like swimming pools and water hoses too! I am looking for a foster or forever home where I can be an only pet . I never learned how to play with other dogs and my playfulness can be misinterpreted or put off by other dogs. I would love a yard with plenty of room to run. Because I am a big boy, I would do better with older kids. , please contact the nice people at Parker Paws, email parkerpawsrescue or call 817-694-5718. I have a collection of old LP’s, 45’s, 78’s. Some in original packaging, some signed by original artist. Some original Sun Records label.